Accident Attorney Corpus Christi: Were You Injured In A Truck Accident? Truck accidents involving 18-wheelers can potentially be deadly, and they unfortunately happen all too often in the state of Texas. If someone is lucky enough to survive a collision with a truck, the subsequent struggle with insurance companies for compensation can prove to be an uphill battle. Questions of liability and one-sided invistigations can complicate the process and make it difficult to recover damages without experienced legal help. While filing a claim is necessary if you hope to recover compensation for your injuries, many are hesitant to do so simply because of the accompanying difficulties. Not only do you have to prove liability, you may have to go head-to-head with uncooperative insurance companies. This may sound impossible as you also attempt to recover from your injuries, but you are not alone. Keep reading to find out how to file a claim successfully and why you need a truck accident attorney on your side! According to federal regulations, truck drivers are allowed to drive up to 14 hours straight. Truck drivers are under intense pressure to cover large distances in the shortest time possible, increasing the possibility that they will drive recklessly or for longer amounts of time in order to meet expectations. With this possibility of excessive fatigue and the stressful conditions of their job, it comes as no surprise that truck accidents are a common occurrence. Was the truck loaded properly? Was the truck driver speeding? Did the truck driver skip mandatory rest breaks? If proven to be true, all of the above actions can be considered negligent. While any one of these may indeed be the cause of the accident, it is sometimes possible for the responding highway patrol officer to solely listen to the word of the truck driver, leading to a one-sided report being filed. Since insurance companies who represent trucking companies are looking to protect themselves from liability, these one-sided reports can be used as reason to pay you as little as possible, or in some cases nothing at all. Investigators on behalf of the insurance company will be sent as soon as possible to the accident scenes in order to attempt to shift responsibility for the crash from the truck driver to you. In these cases, it is imperative that you seek legal assistance to protect yourself against false claims of liability. If an opposing insurance company tries to talk to you regarding the crash, don’t tell them anything without first consulting with a personal injury attorney! HOW DO I GO ABOUT FILING A CLAIM? The first step to filing a claim is to record the details of the accident as soon as possible. If you are able to, take photographs of the damage and interview any witnesses of the crash. Look around for possible surveillance cameras that could have recorded the crash and ask the video owners for a copy. Your records may show evidence of the truck driver’s negligence that isn’t in the police report. Notify the trucking company’s insurance provider and the driver of your intent to file a claim. After, research and follow the process that their insurance company requires, making sure to meet any deadlines for filing. 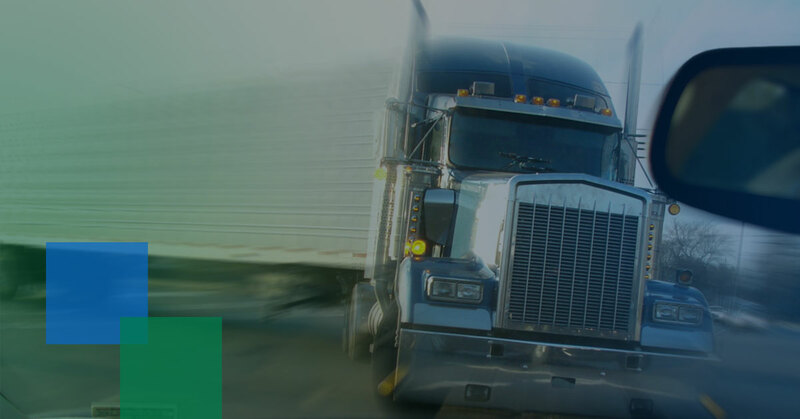 If the evidence clearly points towards liability of the truck driver, they will likely offer some sort of miniscule settlement in an attempt to quickly and quietly solve the issue. It is highly advised that you decline this offer and get in touch with a trained personal injury attorney, since the settlement would likely not be sufficient enough to cover your losses. If you are injured in an accident due to the reckless driving of a truck driver, you may be entitled to receive compensation. With the help of an experienced legal team, you may be able to recover both economic and non-economic damages caused by the crash. At The Law Offices of Alex R. Hernandez, Jr. PLLC, we proudly offer a free consultation to all first time clients. This is the best way to get started towards pursuing compensation for your truck accident claim. Get in touch with our firm today to obtain personalized legal assistance from a personal injury lawyer in San Antonio.